Jenny Packham "Blaire" dress and Tesoro headpiece, both worn at my wedding early April. 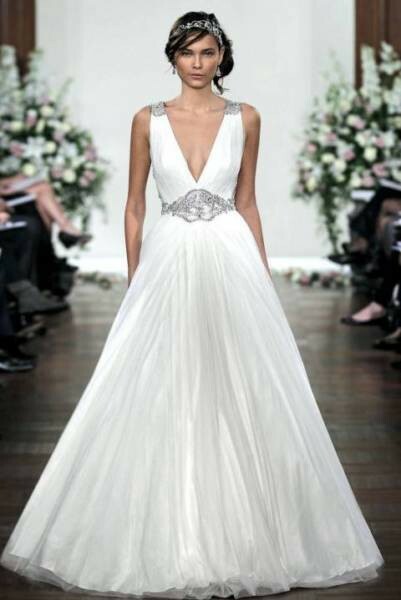 Dress was originally $7800 from Elle in Nedlands and it's a size 8, and the Tesoro headpiece was originally $750. The only alterations to the dress were taking it up (since it was very long as most are in the shop, I am 5'7) and I had the alterations people put in a loose stitch in the open back beading section so that it sat snug and flat on my back. No stains whatsoever, and has been professionally dry cleaned. Happy to sell the dress and/or the headpiece separately. Once you send a message, Kat can invite you to purchase the dress.